Orkney | Beer Apprentice - Craft Beer News, Reviews, Interviews and Info. How’s it going folks? Pretty good I hope. Well, it’s time for another craft beer review and for today’s tasting I’m going to be trying the Orkney Dark Island produced by the Orkney Brewery located in Orkney, Scotland. I can’t recall ever having a beer from this brewery before, so I’m kind of excited about it. Let’s get to the website, sinclairbreweries.co.uk, and find out what this beer is all about. 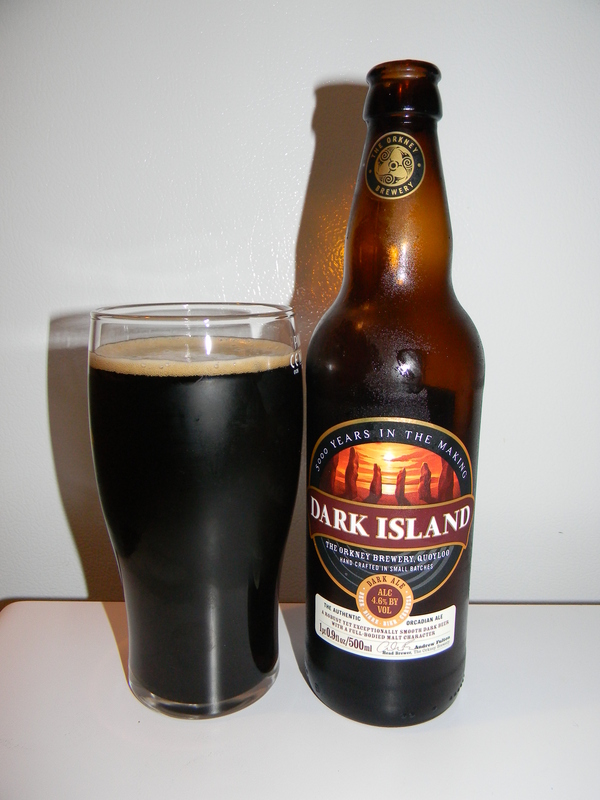 Dark Island is an iconic beer: a standard-bearer for traditional Scottish ales. In cask, this beer has twice won CAMRA’s Champion Beer of Scotland. Alright. That sounds pretty promising. Let’s pour. This beer came in a 16.9 oz. bottle and it had an ABV of 4.6%. It poured a very deep burgundy to deep brown color. Some ruby and burnt orange highlights were noticed around the bottom of the glass. The head was light tan and smooth, however it was somewhat small from a relatively aggressive pour. Not much retention time was to be had either. The lacing was slight as well. Oh well. It is what it is I guess. The nose protruded with some toasted malts. Toasted bread crusts, lightly spiced croutons and dark breads. Touches of chocolate and some dark fruits followed while a slight whiff of coffee grounds came through at the end. Not bad with the bouquet I didn’t think. The tasted revealed more toasted breads along with additions of the dark fruit and toasted grains. It seemed nicely earthy and round with a touch of smoke too. I also got a little more of the chocolate malt as well. The mouthfeel was medium bodied. Round, smooth, slick and semi-dry. Toward the back end it started to get just a tad bit chalky. Medium to medium/low carbonation. A decent shot of flavor was left behind after each swallow for me to enjoy too. Overall, I found this to be a solid brew. 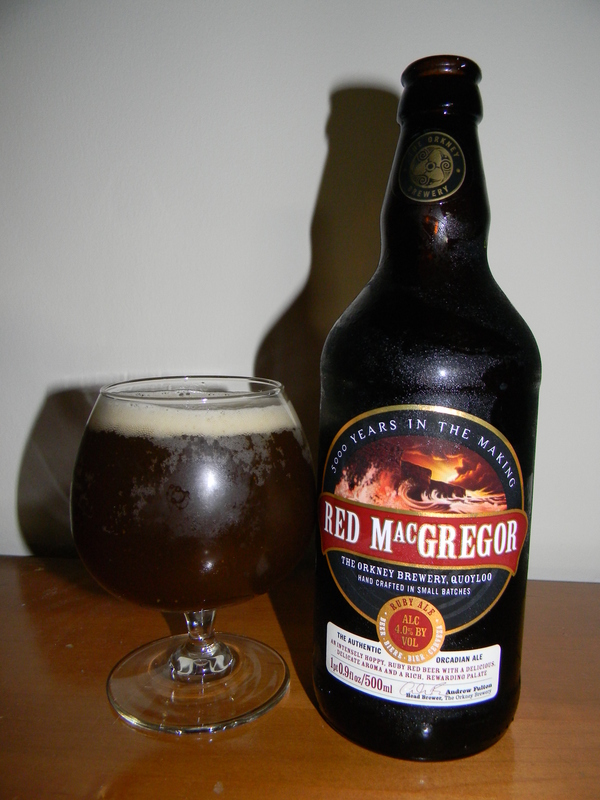 The Scotch Ale style is not particularly my favorite, but I don’t mind having one every so often. This beer was sturdy enough to warrant some serious discussion, yet easy enough to drink so as not to fatigue the palate. I’d recommend giving it a try for sure. I don’t know that I will personally go out looking for it again, but if someone were to offer one to me I wouldn’t turn it down. So, with that being said give the Orkney Dark Island a try if you run across it and see what you think. Feel free to leave a comment and tell me all about your experience if you’d like.